Since 1919 ACE has manufactured high quality, durable equipment. Customers come to us with a problem and we offer solutions. Over the years ACE has enjoyed some long term business relationships with many customers, too numerous to list here. Some of our customers were gracious enough to talk to us about our equipment. SEE Below What They Had To Say. ACE frequently gets customers who come to us after a less than great experience with a competitor. Excellence comes with experience. 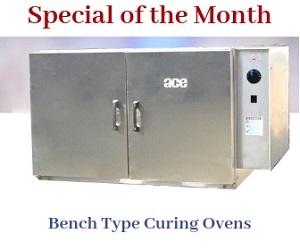 See What Blue Rhino Engineers Have To Say About The ACE Radiant Burn OFF Ovens. >> Here Mr. Dan Parson (EASA Travelling Chief) of AC Electric, Bangor, shares his views on better turn, highly-efficient and best-quality Hybrid Radiant Tube Oven System and RKG Model which are manufactured at the ACE plant. "Pallet rackmaker finds it’s better to burn-off in-house than outsource away"
"Office equipment maker boosts burn-off capabilities to improve its powder finish"
Why take a chance on inferior ovens. Join the many people on this page who have found that the patented ACE systems offer experience and technology that will provide you with proven long term service. Visit our Industrial Ovens or Burn OFF Ovens pages here.